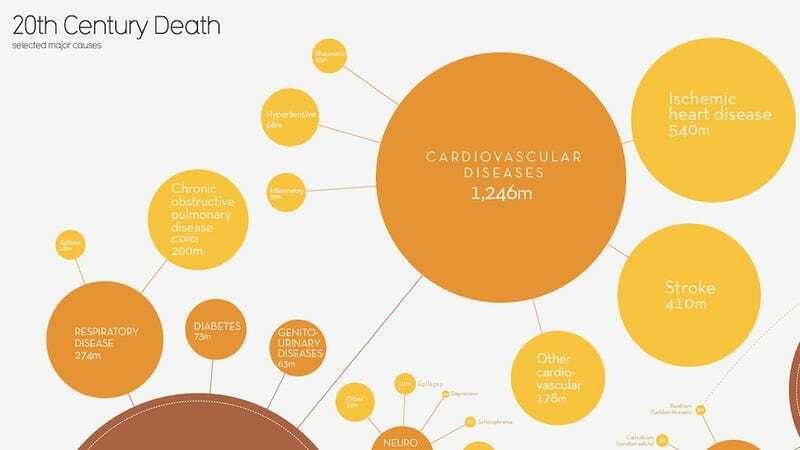 We've talked about all the ways humans have died over the last 40 or so years, but what are the most common causes of death throughout the entire 20th Century? Over at Information is Beautiful, designer David McCandless has whipped up a stunning infographic that helps visualize the answer. Check out more of McCandless' work on his website, and on Information is Beautiful.